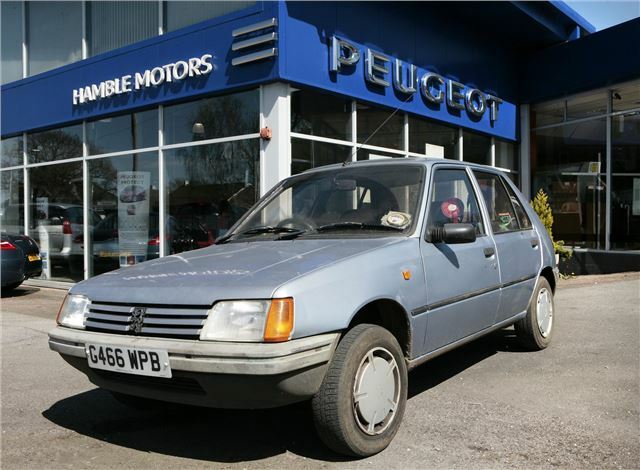 Peugeot will be hoping its latest small hatch – the 208 – manages to be as reliable as this 1990 Peugeot 205, which has clocked up more than 338,000 miles since it was bought in Southampton. Nicknamed ‘Fly,’ the car has been regularly serviced and maintained and is still going strong. ‘Fly’ was used for trips to France, along with more mundane day-to-day commutes and shopping trips. Sadly the owner,’ John Clive, passed away in December 2012. But rather than scrap the car John’s wife, Penny, has donated it to Eastleigh College for students to studying motor mechanics to maintain and work on. That’s good news, because Peugeot 205s are gradually disappearing from UK roads. In 2007 there were 71,315 205s registered in the UK but by December 2011 just 26,025 were left. That’s a reduction of 22% each year - at that rate all the remaining 205s will be gone in just under three years. Peugeot’s latest small car, the 208, is proving fairly popular, so much so that more than 30,000 preorders have been made – more than the total number of remaining 205s. Whether or not the 208 will manage the enduring popularity enjoyed by its predecessor during the 1980s and early 1990s remains to be seen. Pasted my test in 1990 in a 205 diesel great little car interestingly in about 1993 I remember they held their value at 60% over 3 years which was at the time the highest of any new vehicle on sale not bad for a ten year old design!